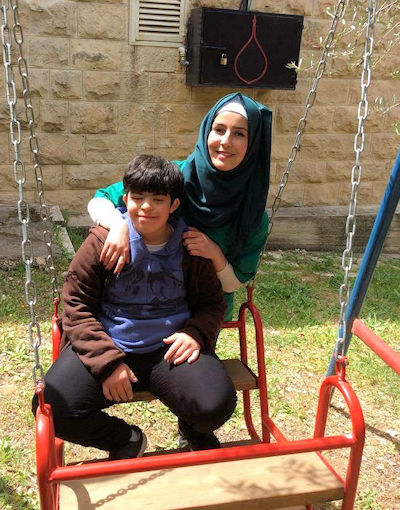 Director George Awad writes: "We are serving the Lord through these children; you are sharing with us in this ministry by your prayers and support which encourages us to continue helping the blind and special needs children. Thank you very much for your interest, prayer and help in this work in the land of Lord." 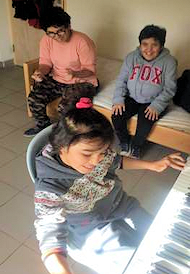 Some time ago, the children at House of Hope were given musical instruction by the organization, Caritas, in Jerusalem, and now enjoy playing various instruments. Various in-school activities include daily visits from teachers to enrich the children's day with music. During special celebrations, family and invited friends have the pleasure of enjoying their musical talent, listening to their singing and watching drama performances. 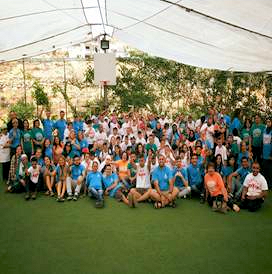 Volunteers are regularly received for after school activities. A group from the Bank of Palestine came one day and cooked 'Kanefe', a sweet cheese pastry drizzled with syrup, for all the children. House of Hope has partnered a number of times with the Young Life organization and, of course, the children are so grateful! 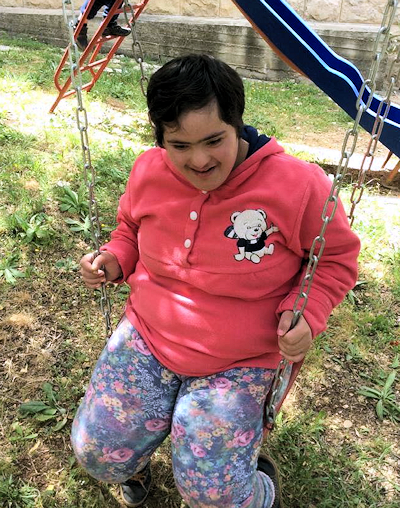 Young Life not only took the students for lunch at a nearby resort but took them, as well, to the beautiful Mary Dote Garden in Bethlehem where they enjoyed themselves with outside games, singing and relaxing. 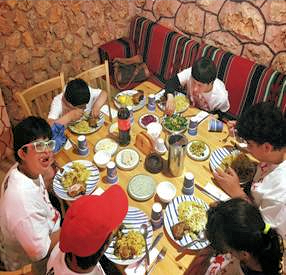 A great highlight with Young Life was the three day camp at Murad Resort. 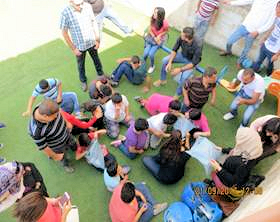 Here the children participated in various activities that focused on friendship, confidence, independence and fun! Young Life also brought children from Hope School to interact with House of Hope children in games and activities. These interactions are so welcomed and really contribute to the children's well-being. Sunday Line is thankful for your support that allows sponsorship of children in need worldwide.